MASVINGO- Masvingo Day High School is housed at 41 Combat Group Barracks known as Masvingo Barracks, about 6 kilometres North of Masvingo City centre along Zimuto Road. 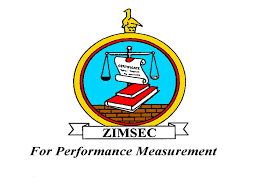 The Army run School has grown since its establishment to become one of highly decorated schools in the province as it has won several accolades and Merit Awards and has dominated in ZIMSEC ‘O’ and ‘A’ level results. Besides offering the main stream subjects from form 1 to 6, Masvingo Day High also nurtures students’ talent by offering as many practical subjects that include Agriculture, Building, Fashion and Fabrics, Food and Nutrition, Art, Computers, Music (playing Marimba and Mbira), all sports disciplines and has in line with the new educational curriculum, constructed a state of the art Science Laboratory. The School is under the stewardship of Captain Bonisani Moyo who took over from the former Headmaster Staff Sergeant Chirambwi Peter. Prior to her new appointment she was heading Induna High School in Bulawayo. Born in 1978 in Nkayi under Chief Skhobokhobo Captain Moyo is a first born in a family of five, she did her primary at Lutsha Primary School in 1985-91 and in 1992-97 she enrolled for her secondary education at Inyathi Secondary School up to ‘A’ level. The Headmistress was attested in the ZNA in 2003 as a Sergeant and rose through the ranks to her current rank of Captain. She did career progression courses that include Basic Officers Course and she is a holder of a Master of Science Education degree in Mathematics, which is one of the most challenging fields these days. Her subsequent appointment as the only female to head a high school under ZNA is one of the breakthroughs by females in the mostly male dominated field. “I am very much delighted to lead a School with a 100% pass rate on ‘A’ level for the past five years and 87,74% on ‘O’ level, and as a lady head I urge a girl child to take those challenging subjects,” said Captain Moyo. The head assured the community that once they enroll their children at Masvingo Day High School, they should expect good results, as the school has highly qualified and experienced teachers who through team work will work tirelessly to achieve a 100% pass rate. Masvingo Day High School also has opened a center for those who failed O level at different schools. This center is housed at Headquarters 4 Infantry Brigade where the classes/lessons are conducted on full time basis and examinations are run both in June and November every year.